Home/Community, Pride Events, Pride News/Join the new team! Interested in giving back to the community? Want to make an impact? 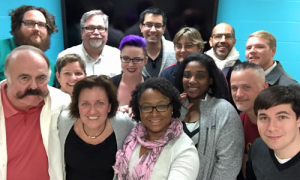 Join the new team planning the 2017 Boston Pride celebrations! Boston Pride is looking to build a team of dedicated community members from all walks of life, and to start the production of Pride events for next year. If you have experience planning events, that’s great, we can definitely use your help! If you don’t have experience but want to learn, join in! Fill out this simple form to join the team and come join us at our next meeting. We look forward to meeting you!